The Amazon/Whole Foods Merger: What it Means for Supermarkets, Goods Producers and Shoppers - Duffy Group, Inc. The recent announcement of Amazon’s $13.7 billion purchase of Whole Foods was met with shock in many quarters. The implications of this blockbuster deal are far reaching: While supermarkets must contend with an innovative, wealthy and aggressive new competitor, consumer goods producers will also need to re-evaluate their Amazon strategies — and customers in the years ahead may find the grocery shopping experience they have grown accustomed to has been re-imagined. Prior to its deal with Whole Foods, Amazon had been waging a campaign for the affection of fast-moving consumer goods (FMCG) producers. Earlier this year, Amazon CEO Jeff Bezos invited General Mills and dozens of other leading food companies to a three-day convention and tour at the company’s Seattle headquarters. The goal? Convincing these companies that Amazon’s model of direct e-Commerce retailing is the future. Major food brands had to walk a fine line: Maintain their deeply entrenched and long-standing ties with supermarket industry, while also keeping Amazon close enough to avoid missing out on a massive opportunity, should online shopping become the default consumer mode in the years ahead. With its purchase of Whole Foods, Amazon gains a major presence in both spaces — and now holds even greater importance for FMCG producers. Amazon’s house brands have been gobbling up market share: Amazon house brand batteries now account for one-third of all batteries sold online, while Amazon house brand baby wipes already compete against legacy brands such as Huggies and Pampers in terms of market share. 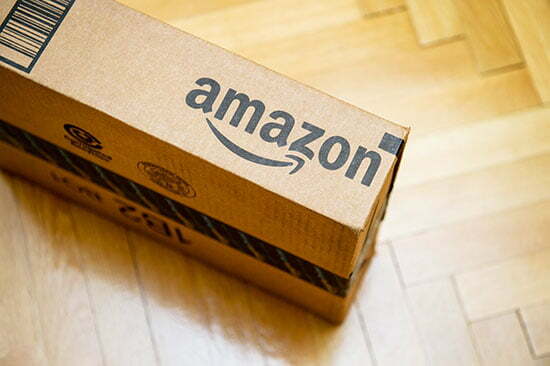 Amazon retains the potential to expand its house brand imprint far beyond the categories where it currently exists. The company also holds a massive competitive edge in retailing such products, as it controls product listing and placement, ad positioning, search results and other key variables. Many observers have noted that Amazon’s deal with Whole Foods was driven by the need for a distribution network; by assuming ownership of Whole Foods, Amazon will be able to significantly shorten the interval between when something is ordered and when it’s delivered, providing a efficient solution for closing the “last mile” of distribution. With a greatly enhanced ability to quickly deliver fresh food to online customers, Amazon has removed one of the few hurdles slowing the progress of online grocery delivery. Amazon also has the ability to do much more with its physical store locations than typical supermarkets. Because Amazon sells almost everything, it could choose to stock former Whole Foods locations with a variety of merchandise. It can also use its technological prowess to make in-store shopping a far more seamless, personalized, data-driven experience. Once the conventional retail supermarket is no longer the default hub for grocery purchases, it will likely need to be re-imagined as a more interactive, multi-purpose communal space. Cooking shows, trend showcases, food hall-style dining options and exciting new digitally-enhanced product displays may all be on the horizon. Amazon’s merger with Whole Foods will have profound implications for supermarkets, consumer goods producers and shoppers. In order to remain competitive, food retailers and goods producers will be required to create innovative new strategies for competing against — and working with — Amazon. Hiring and retaining talented workers with the potential to create these innovative solutions will be essential for these firms moving forward.